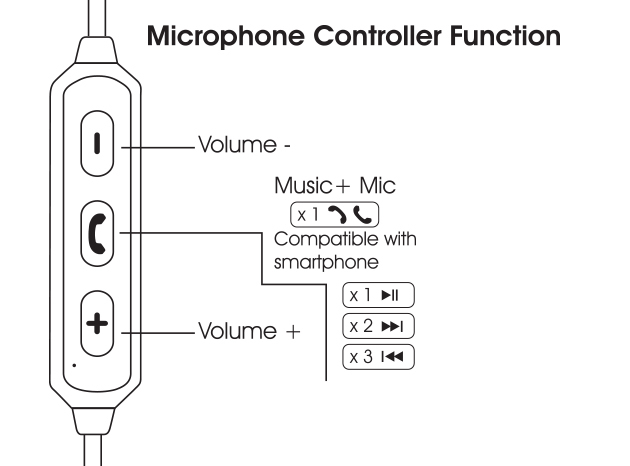 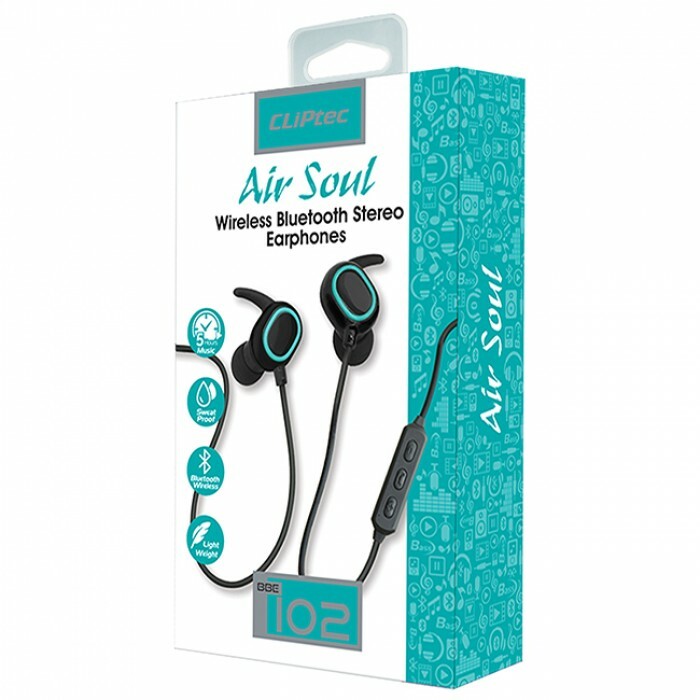 Latest Bluetooth 4.2 technology ensures a wireless connection as flawless as a wired one with low energy technology. 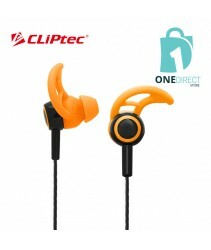 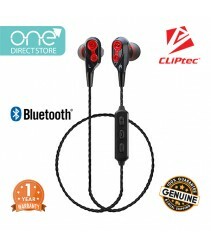 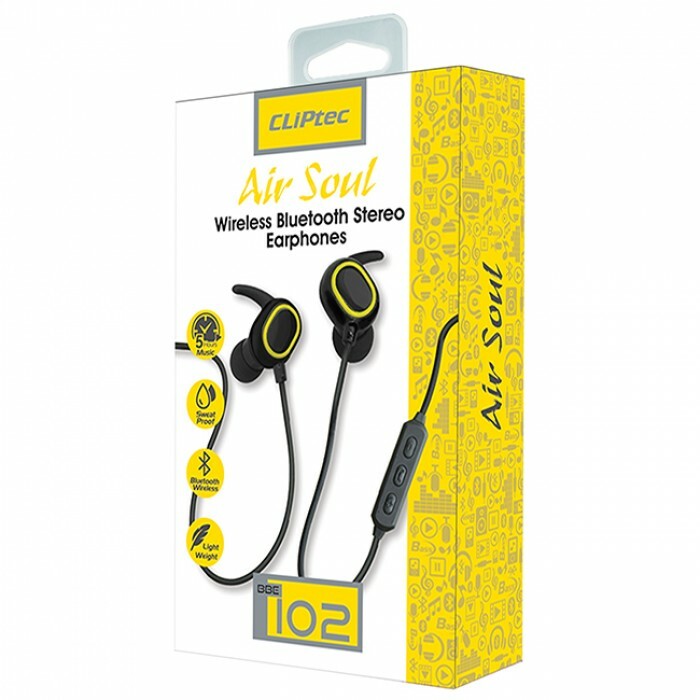 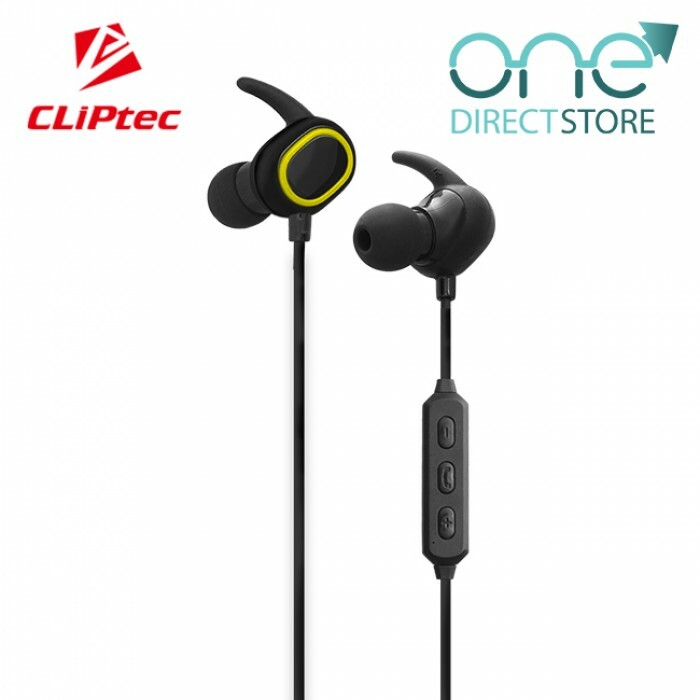 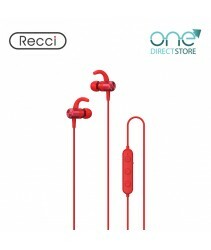 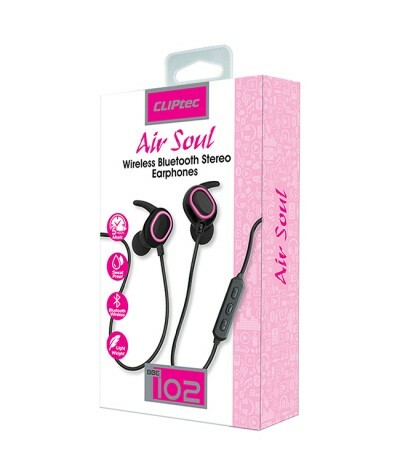 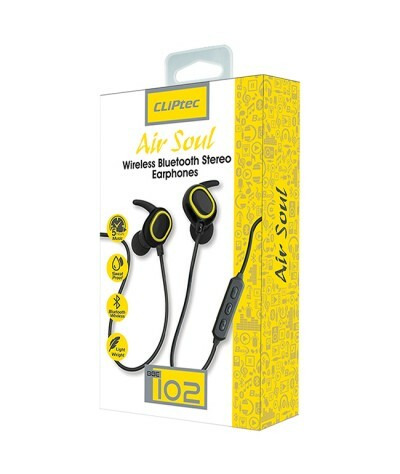 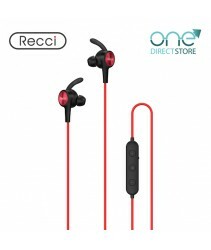 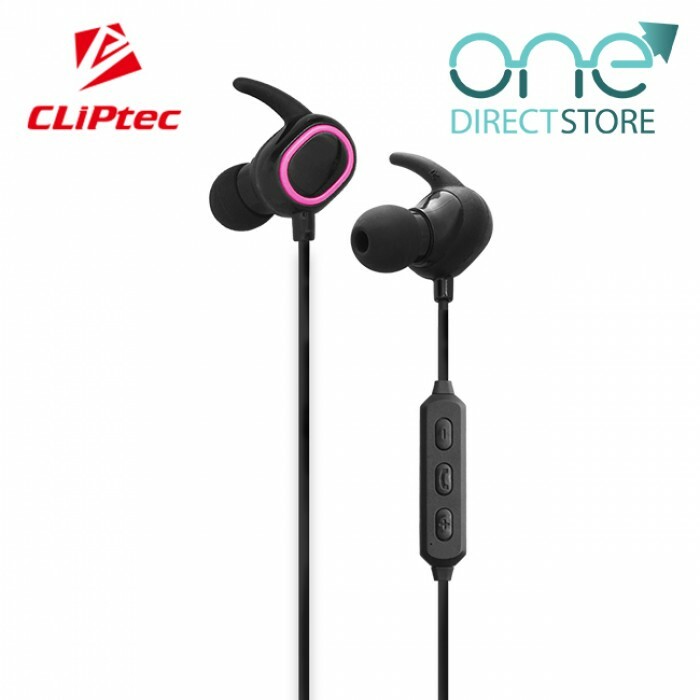 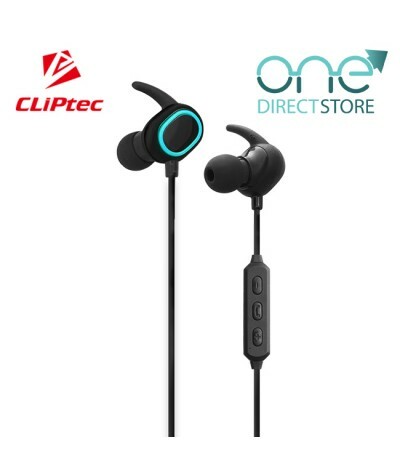 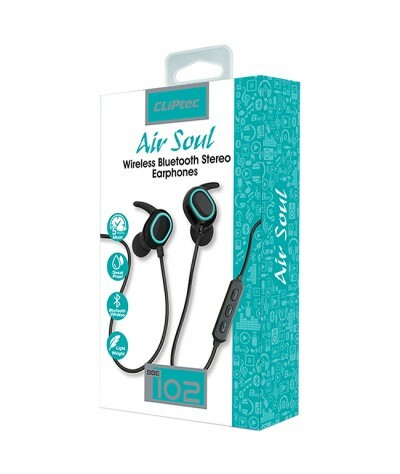 CLiPtec Bluetooth 4.2 Wireless Stereo Earphone BBE102 Air-Sonic is crafted from its streamlined appearance, superb bass resonance with Built-in 10mm neodymium speaker driver. 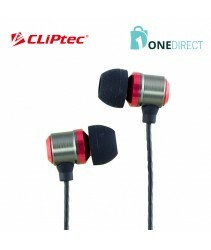 Superior sound isolation by including silicone ear piece, ergonomically designed to provide comfortable. 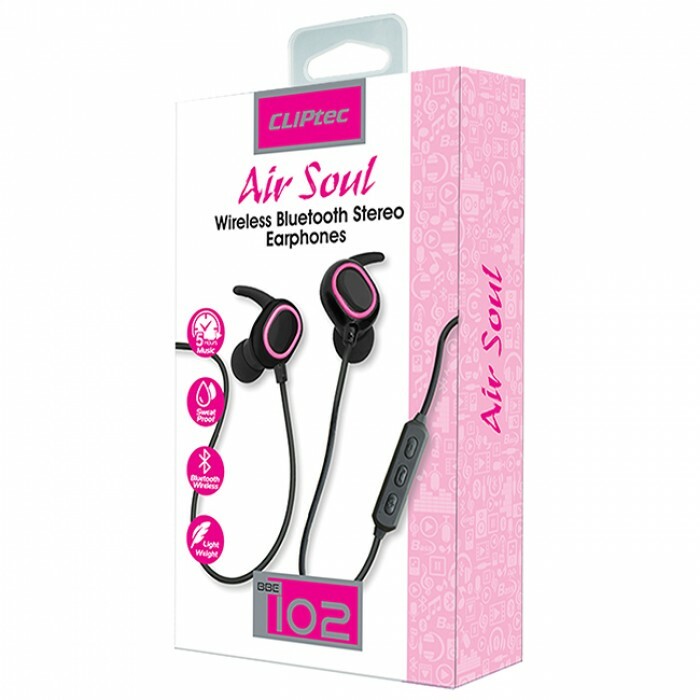 Wind noise reduction, lightweight design ear hooks design.